We understand how critical it is to manage retail businesses without their POS on a peak time and weekend if there is a problem. The company has made big investments in its network of payment devices. Therefore, keeping them up and running with efficiency not solely breeds client and worker confidence, it helps drive magnified sales and earnings potential. With over 19 years of POS support experience, we pride ourselves for being the favorite support partner for Americas 2nd largest POS provider. Our POS support team consists of experienced POS support technicians, industry specialist and highly skilled engineers. The team additionally features a broad understanding inside varied industries and can support you with any distinctive enquiries. Whether or not you own or lease your payment instrumentality, and regardless of what trade you’re in - banking, process or retail - you'll be able to calculate a comprehensive suite of Repair and guarantee, Advance Replacement, facilitate table and Installation services that maximize period. We provide white labelled support services to form a bespoken package that unambiguously fits your business desires. We at Aress Support perceive that business house owners wear variety of hats, Associate in Nursing and being an IT Support Person might not perpetually be their strongest talent set. we provide a full-service troubleshooting and installation element to all POS system solutions and product, so you and your customers will arise and running as shortly as potential. we tend to conjointly provide sturdy training programs and 24/7/365 support. Aress Support offers managed IT services dedicated to the welcome business, provided remotely over the web. Our highly-trained skilled team oversees each side of the POS system-maintenance method, giving your team the time to require care of guests. The support team will manage each side of POS applications from a straightforward value amendment to an entire amendment of menu things and screens. Our future-proof solutions and innovative service change you to deal with all technical challenges. The application support services for POS allow the client to report Open Point-of-Sale (POS) issues whether potentially rooted in operating systems, middleware, POS applications, hardware, original equipment manufacturer (OEM) technology or certain independent software vendor (ISV) applications at any time. Our technical support services involve identifying the problem as Software related, Operating System related or Hardware related and working towards its resolution. 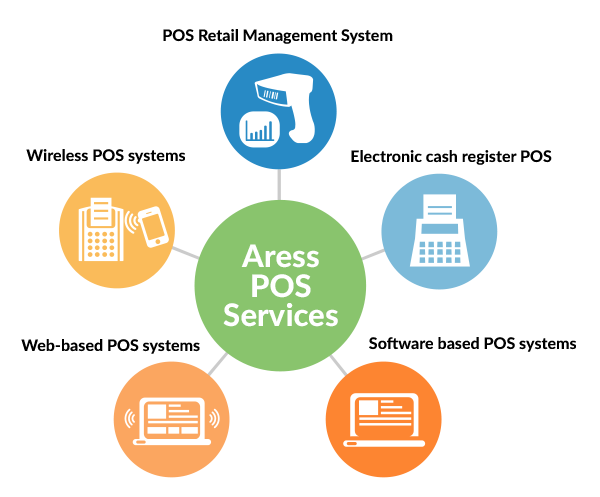 With the understanding that retailers serve their customers frequently, and unremarkably all days of the week, Aress support coverage ultimately provides retailers with extremely ample and trustworthy services to deliver, started and supply current technical support for your retail store’s POS systems. To know more about the advantages of the Retail POS Technical Support Services, please contact us now.